College football fans are a different breed. College football fandom is a lifestyle, and die-hards will do just about anything to watch their team in action. Fortunately, paying for cable doesn't have to be one of those things – not if you know how to watch college football without cable! Join us as we go over all the ways that you can watch college football online or for free over the air with TV antenna. Absolutely everything that you need to know is below. What Channels Have College Football On? Before we figure out how to get live college football without cable, we'll need to know which channels we want live feeds of. Which channels you'll be most interested in will depend on which games and teams you want to follow, so take a quick look at the list below and keep it in mind as we speak specifically about the services and techniques that we can use to watch college football without cable. ABC: Like ESPN, ABC is owned by Disney. Check it out for prime-time games on Saturday – usually, these are marquee match-ups! CBS: CBS has a bunch of big-time college football games, and you can count on seeing some every Saturday. CBS has a deal with the SEC, making it the channel to turn to for big-time SEC action. Fox: Fox has a deal with the Big Ten, so fans of Big Ten teams will want to focus on this channel. FS1 and FS2 – Fox's sports-specific channels – also enjoy some coverage. NBC: NBC has a deal with Notre Dame. It airs Fighting Irish home games. Some games end up on NBCSN. ESPN: ESPN airs college football on its flagship channel as well as on sister channels like ESPN2 and ESPN U. Regional sports networks: Regional sports networks like FSN may air your local teams, depending on where you live. Regional sports network coverage varies from region to region with the services we'll talk about below, so you'll want to check out the specifics on the service's websites or grab a free trial to check out what's available in your area. Conference networks: lots of conferences now have their own TV channels, which may be fully independent or serve as brands that span several channels. SEC Network, ACC Network, Big Ten Network (BTN), and others will be mentioned on our list below where relevant. If we want to watch the channels above live, but don't want to pay for cable or satellite, then we have two major types of solutions that's we're dealing with: free over-the-air TV and “skinny bundles.” The former will get its own spot on the list below, but the latter will appear in many forms as we list the different skinny bundles that you can use to watch college football live without cable, so let's take a moment and explain what skinny bundles are before we dive into the meat of our list. Skinny bundles, or live TV streaming services, are a type of streaming service that aims to beat cable at its own game. Skinny bundles are similar to cable in a few key ways, and different from cable in one all-important one. Like cable, a skinny bundle will give you a selection of live network television channels in exchange for a monthly fee. Unlike cable, however, skinny bundles are streaming services. Since skinny bundles stream online, they can be viewed on a ton of different streaming devices. And since there are no regional monopolies of the sort that we've come to expect from cable, skinny bundles have lots of competition and offer some very consumer-friendly perks. These include the size of the channel bundles: as the name suggests, a skinny bundle will usually offer a slimmed-down channel package that will save you cash by helping you avoid paying for channels you don't want. Our list of ways to watch college football without cable will start with skinny bundles before moving on to over-the-air solutions and other types of cord cutter-friendly services and techniques. Are you ready? Let's kick off our list of ways to watch college football online and over the air without cable. Hulu with Live TV's straightforward $39.99-per-month bundle includes plenty of great ways to watch college football online. There's ABC, CBS, Fox, and NBC, for starters, plus BTN, SEC Network, FS1, FS2, ESPN, ESPN2, ESPN U, and ESPN Goal Line. 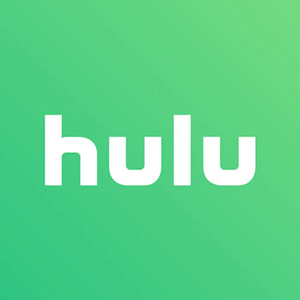 Hulu with Live TV also includes access to the on-demand catalog offered by Hulu's long-tenured on-demand streaming service. You can check out Hulu with Live TV risk-free by signing up for the service's free trial – the link is below. Sling TV lets you build the perfect skinny bundle yourself, saving you money by allowing you to pick out groups of channels on a more a-la-carte basis than is allowed by typical tiered skinny bundle pricing systems. Sling TV's base packages are “Sling Orange” ($25 per month) and “Sling Blue” ($25 per month). You can get both base bundles together for $40 per month, and you can add “Extras” to either – though which channels the Extras offer may be influenced by which base package you choose. Sling Orange offers ESPN and ESPN2. Sling Blue has Fox and NBC, as well those companies' regional sports networks and sister channels like FS1, FS2, and NBCSN. ABC is available in an Extra, and the “Sports Extra” package is loaded with ESPN U, SEC Network, ESPN Goal Line, and more. Try out Sling TV for free by clicking the link and signing up for the free trial offer. fuboTV's two base packages – the $44.99-per-month “fubo” and the $49.99-per-month “fubo Extra” – are both jam-packed with good sports coverage. You'll have CBS, Fox, and NBC right from the start in fubo, and regional sports networks are in the cheapest package as well. So are BTN and NBCSN. An add-on package (“Sports Plus,” $8.99 per month) will give you Pac-12 Networks and Fox College Sports regional neworks. 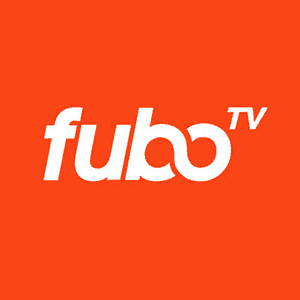 You can get fuboTV at a discount for your first month of service, and you can test-drive the service for free by grabbing the free trial offer using the link below. PlayStation Vue is a great way to watch college football without cable. You can get ABC, CBS, Fox, and NBC with the cheapest bundle, the $39.99-per-month “Access.” Also included in Access are ESPN, ESPN2, FS1, FS2, and NBCSN. Step up to “Core” ($44.99 per monht) for access to BTN. Add-ons can give you regional sports networks and ESPN Goal Line, among other channels. 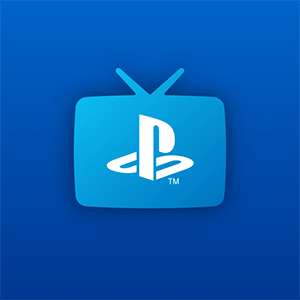 To check out PlayStation Vue risk-free, just click on the link below this paragraph and sign yourself up for the service's free trial program. YouTube TV's $40-per-month bundle includes ABC, CBS, Fox, NBC, BTN, ESPN, ESPN2, ESPN U, FS1, FS2, NBCSN, and regional sports networks. It's a great service for college football fans, but it's not available everywhere yet – YouTube TV is still in the midst of a region-by-region rollout, so you'll have to check out the service's website to see if it's available in your area right now. If it is, the free trial is well worth a look! DirecTV Now is AT&T's skinny bundle service, and it offers four tiers of bundles. The cheapest, “Live a Little,” costs $40 per month. Then there's “Just Right” ($55 per month), “Go Big” ($65 per month), and “Gotta Have It” ($75 per month). ABC, CBS, Fox, NBC, NBCSN, ESPN, ESPN2, and FS1 are all available in every package. You'll have to step up to Just Right to get regional sports networks, ESPN U, BTN, and SEC Network. You'll have to go with Go Big for FS2. 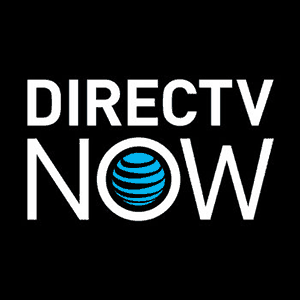 You can try out DirecTV Now for free by taking advantage of the service's free trial offer. Free over-the-air TV is one of the very best ways to watch TV without cable, and that holds true in the world of college football. College football's biggest games, including many bowl games, end up on over-the-air networks like ABC, CBS, Fox, and NBC. 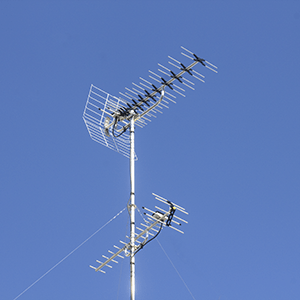 Be sure to use an antenna as part of your college football season set-up, and consider using an OTA DVR to bring things to the next level! CBS has college football. It also has a streaming service of its very own: CBS All Access, which is a single-channel streaming service that focuses entirely on CBS. 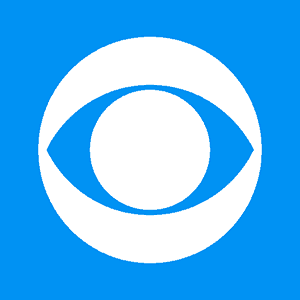 CBS All Access subscribers have access to CBS programming on demand, but this is also a live streaming solution: in select markets, subscribers to this $5.99-per-month service enjoy a live stream of their local CBS affiliate. Regional limitations and blackouts apply, so head over to CBS All Access' website for the dirty details – or just grab a free trial and see for yourself what is available in your particular region. Can I Watch College Football on Roku, Fire TV, Apple TV, or Chromecast? When the game-day action is big, you want your screen to be big, too. And the best way to get streaming content up onto your biggest, baddest TV is to use a streaming device like a Roku, Fire TV, Apple TV, or Chromecast device. So, naturally, our next question is this: can you watch college football on Roku, Fire TV, Apple TV, or Chromecast? You sure can! The streaming services above work great on these platforms, and you'll have lots of options for streaming college football on any one of the streaming platforms and devices listed above – plus a few more. Roku users can check out DirecTV Now, fuboTV, Hulu with Live TV, PlayStation Vue, Sling TV, and YouTube TV. Yep, that's every one of the skinny bundles listed above! Fire TV users can use DirecTV Now, fuboTV, Hulu with Live TV, PlayStation Vue, and Sling TV. Apple TV users can try any of the services we listed: DirecTV Now, fuboTV, Hulu with Live TV, PlayStation Vue, Sling TV, or YouTube TV. Chromecast devices support all of our options, too: DirecTV Now, fuboTV, Hulu with Live TV, PlayStation Vue, Sling TV, and YouTube TV. Android TV is an option, too – the streaming platform used by the Nvidia Shield and some Sony smart TVs (among other devices) has apps for fuboTV, Hulu with Live TV, PlayStation Vue, Sling TV, and YouTube TV. You can watch college football online on your smartphone or tablet using the Android and iOS apps offered by each of DirecTV Now, fuboTV, Hulu with Live TV, PlayStation Vue, Sling TV, and YouTube TV. Computers – including desktop and laptop computers – are all set, too, thanks to desktop and/or in-browser apps from DirecTV Now, fuboTV, Hulu with Live TV, PlayStation Vue, Sling TV, and YouTube TV. CBS All Access offers robust platform support, too: you can stream CBS live in select markets using CBS All Access' apps for Roku, Fire TV, Apple TV, Chromecast, mobile devices, and computers. As for free over-the-air TV, watching that on your TV is as simple as can be! Just plug your antenna into your TV's coaxial jack and then scan for channels. If you want to bring your over-the-air TV game to the next level, you could also consider using an OTA DVR or a PC TV tuner to time-shift your free over-the-air TV or make it streamable on multiple devices. For more on those techniques, just check out our extensive coverage right here on Cordcutting.com!